FEATURES/SPECS If you're looking for a unique gift for a cigar smoker that has a high end feel at a low end price, look no further. 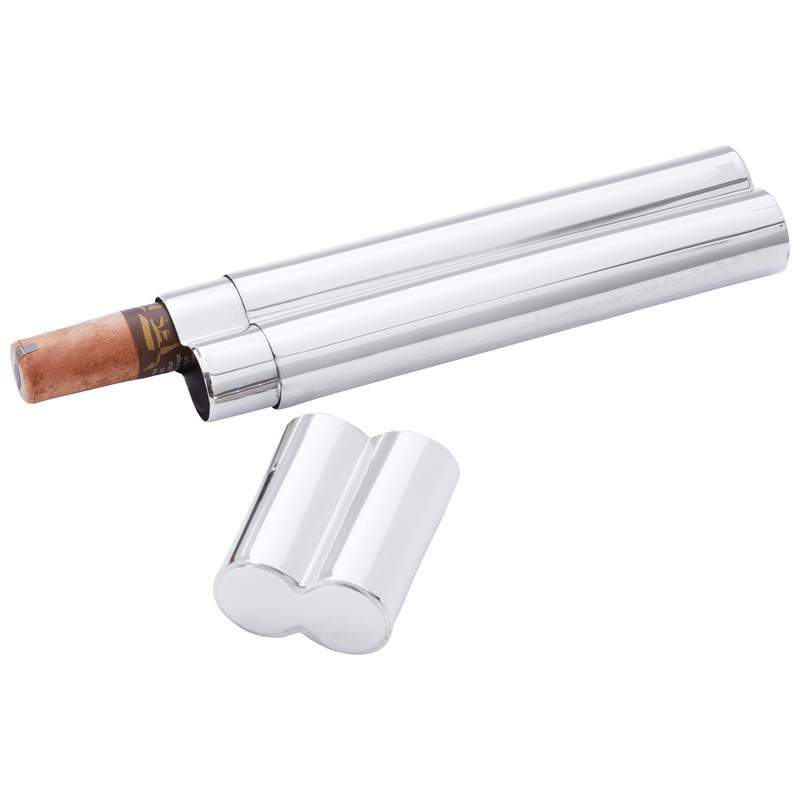 This polished stainless steel cigar holder holds two cigar comfortably and securely. 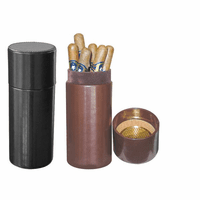 It has two canisters, one for each cigar, and a slide on lid. 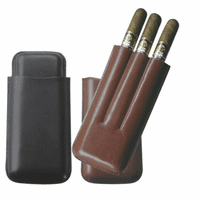 Add free laser engraving to the body of the cigar case for a personalized touch. The engraving reacts with the metal to create a permanent black marking the recipient will love. 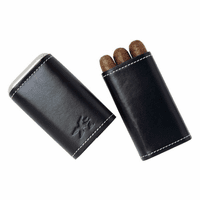 This personalized double cigar holder comes packaged in a gift box and ships out within one business day. 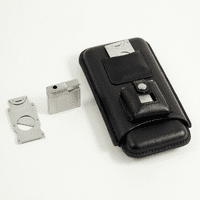 Dimensions: 8 3/8" x 1 3/4"
We can have this item shipped out immediately, within one business day. The size of the box would be about 24" by 12" x 12" for the shipment. The weight would be about 25 pounds. No matter where you are shipping this to, within the USA, you would receive it within one week so it would arrive in plenty of time. Please let us know if you have any questions at all.